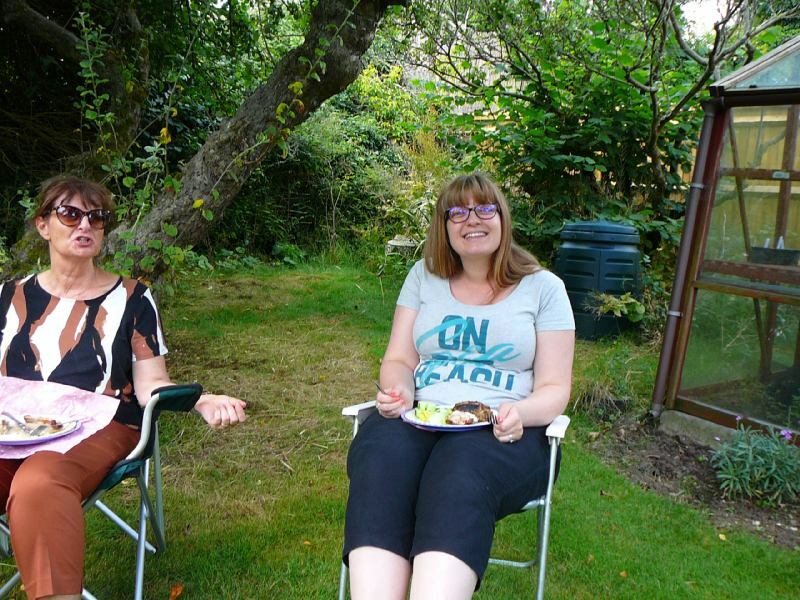 We are pretty certain that this is our 50th consecutive barbecue. 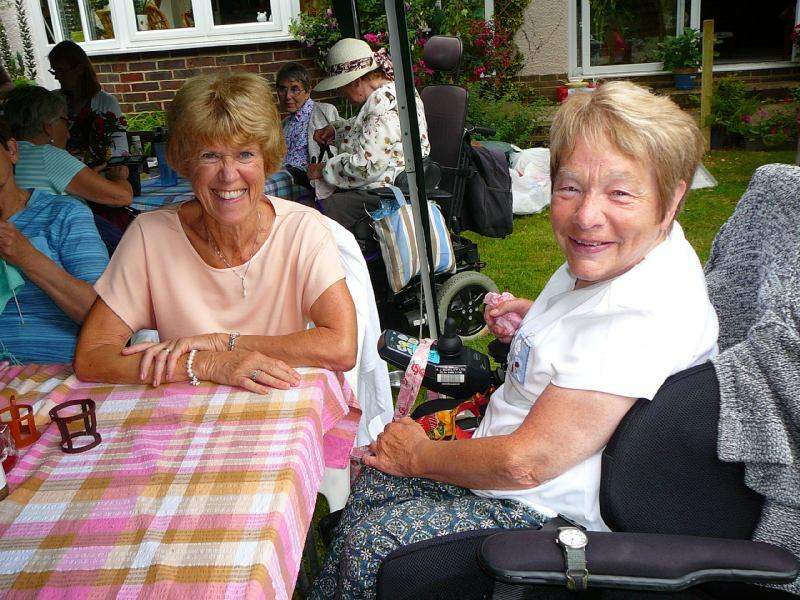 In the mid 1960's we were introduced to the British polio fellowship by my piano teacher and polio sufferer Gladys Gain who recognised immediately that I had had polio and suggested we come along to the Worthing branch of the British Polio Fellowship, which we did and enjoyed the activities and outings. 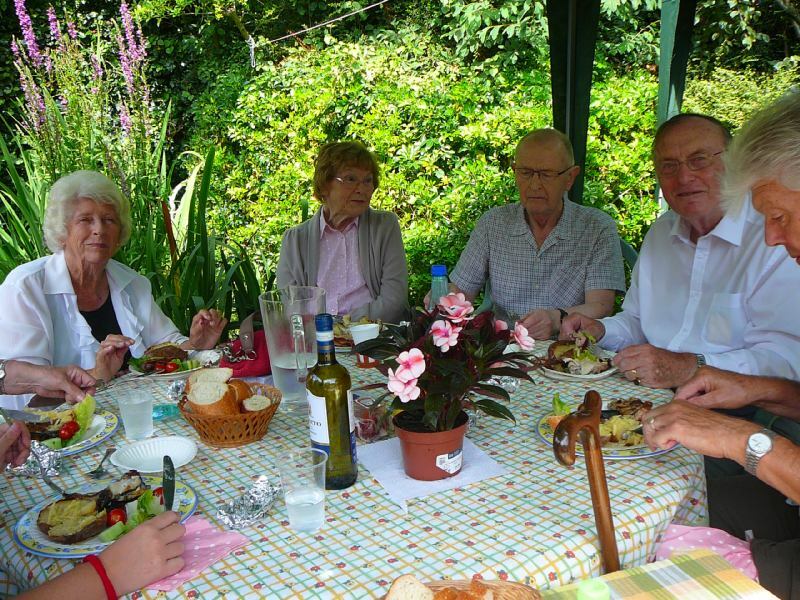 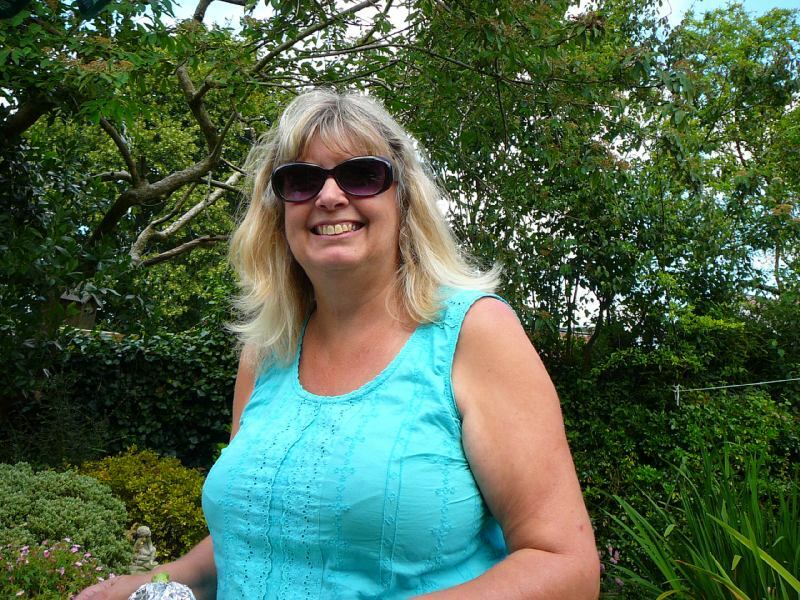 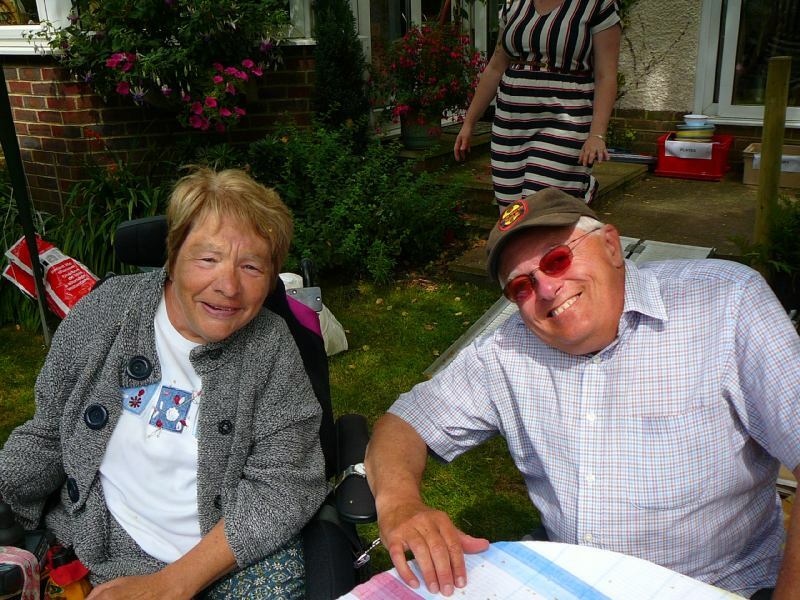 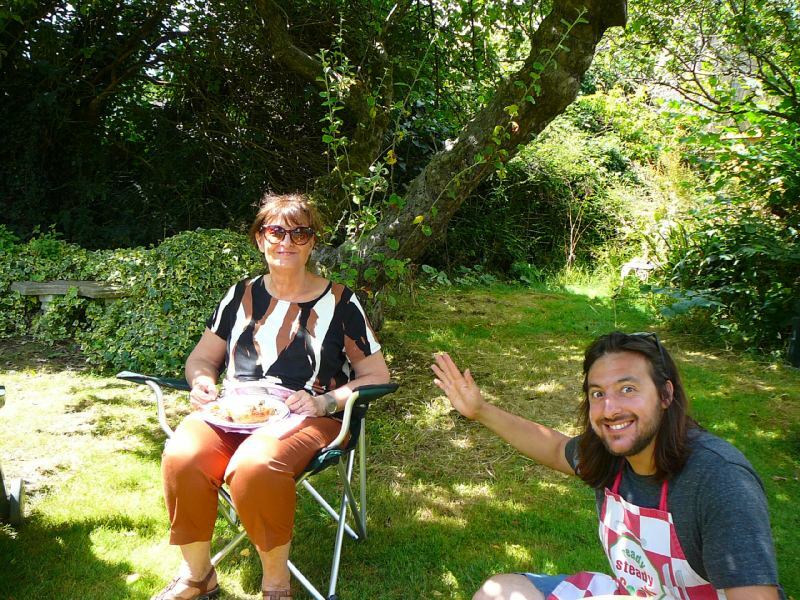 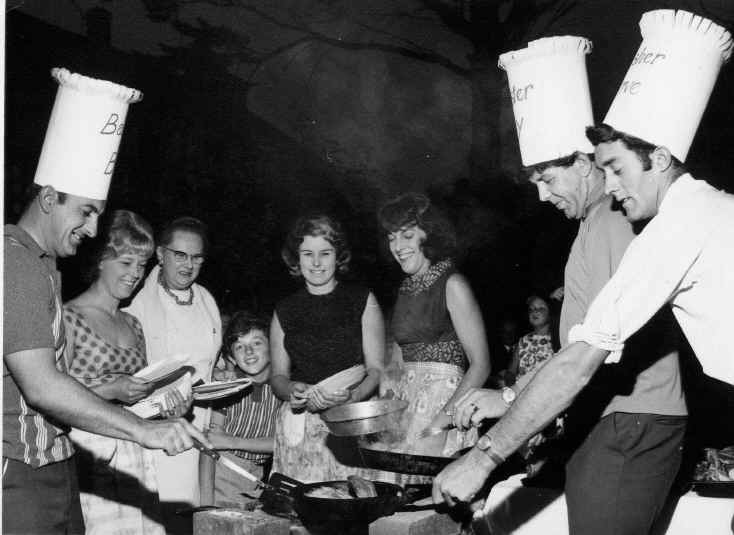 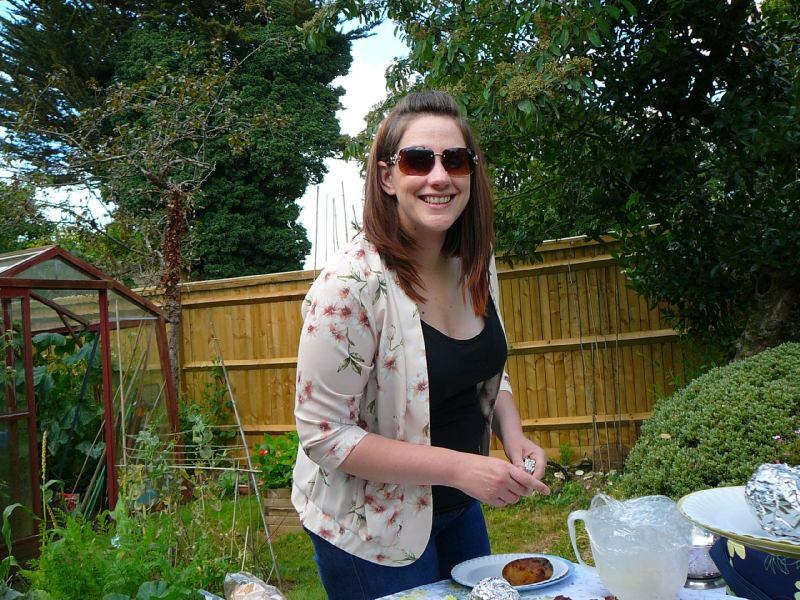 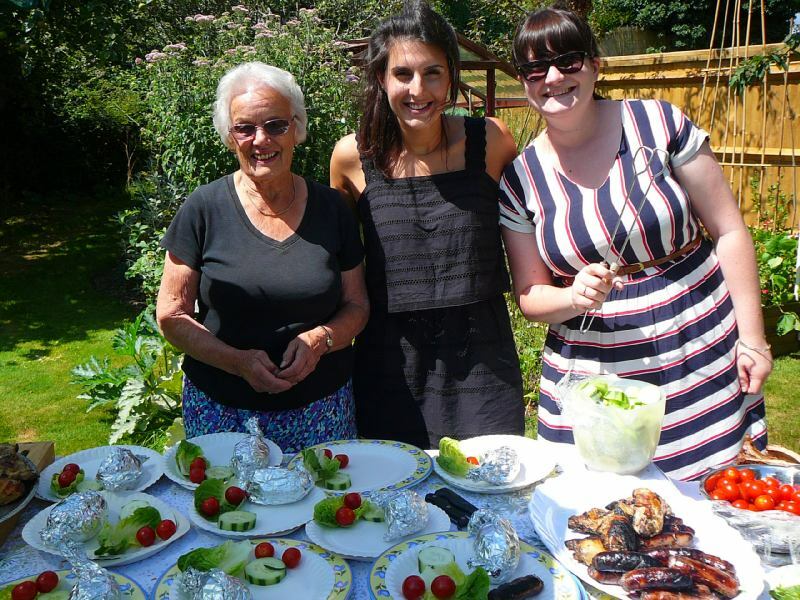 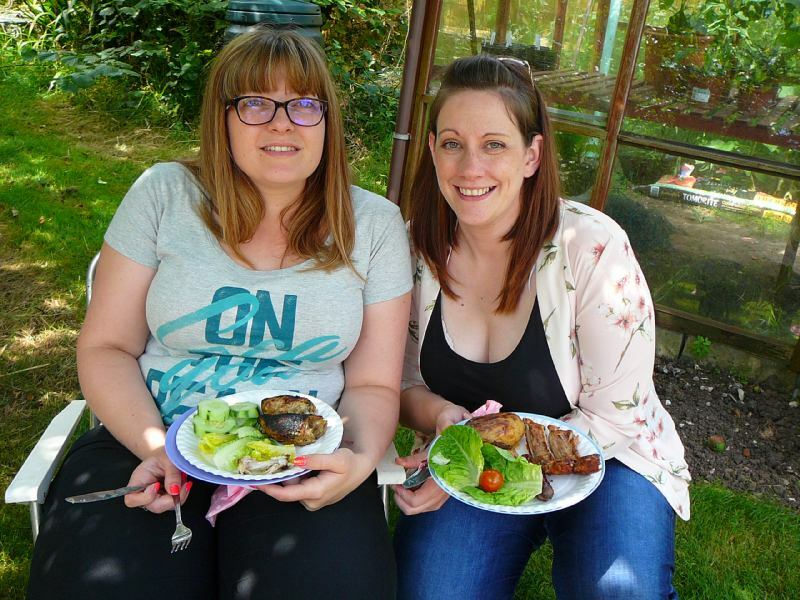 Then in 1966 a barbecue was due to be held at the Lingfield family property but due to a family illness they were unable to manage the event, and it was so that Bob and Barbara stepped in and offered to host the barbecue in their garden. 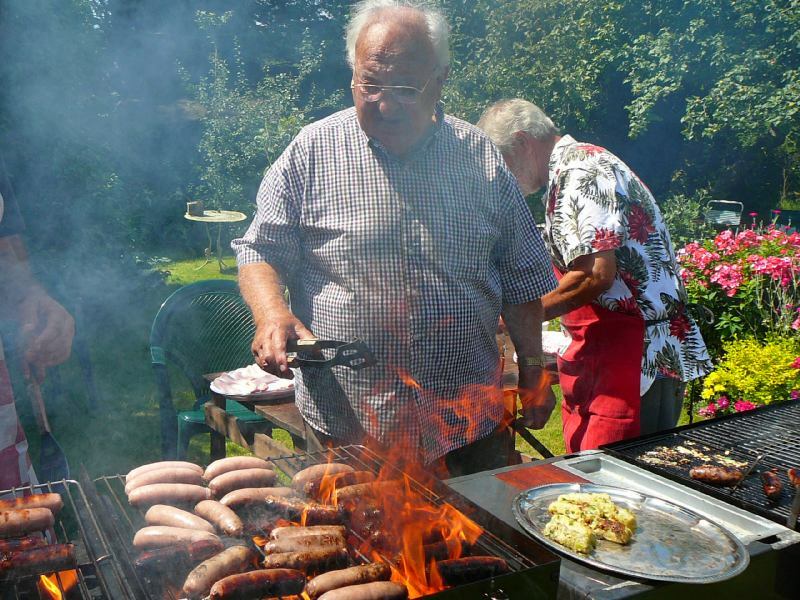 Back in the day of course barbecues were not available to buy in every garden centre so Bob had to build his own BBQ out of bricks and wire mesh, cooking the food on some very large frying pans as can be seen from the old photograph. 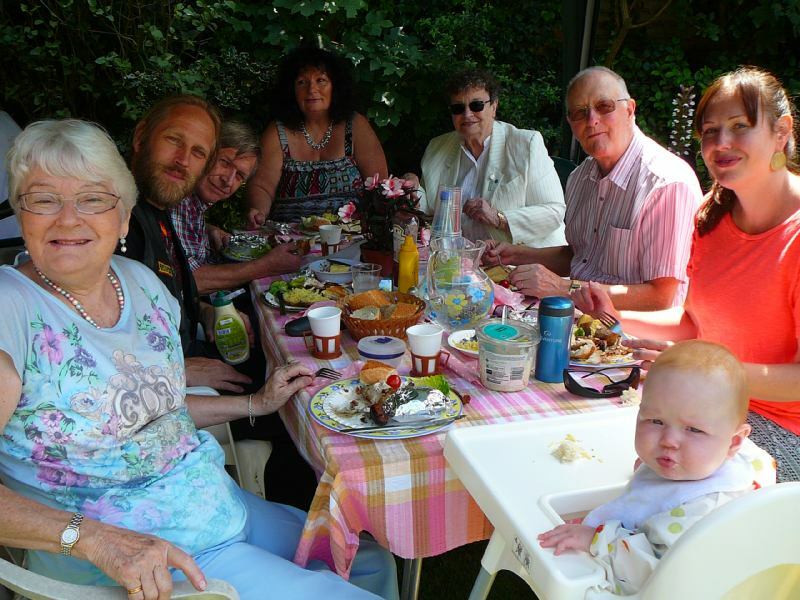 This photograph was taken by the local press who were invited to come along and record the day for the local paper and you can see from left to right Bob Stephens Pam, Vera, a very young and handsome mini me Robin Stephens, then Phyllis, Barbara Stephens and on the right Roy and Dave. 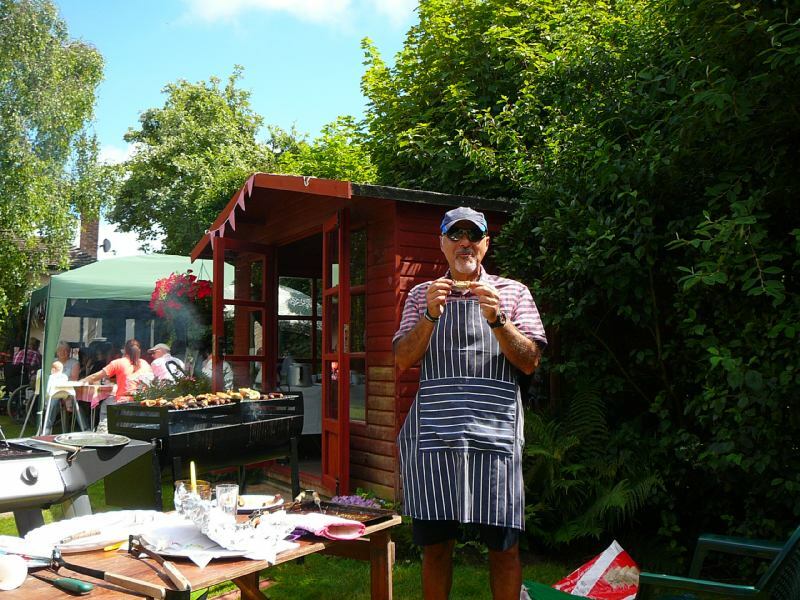 There are more pictures of this BBQ on the worthingbpf.co.uk website just look in the pictures section area under pre-1990. 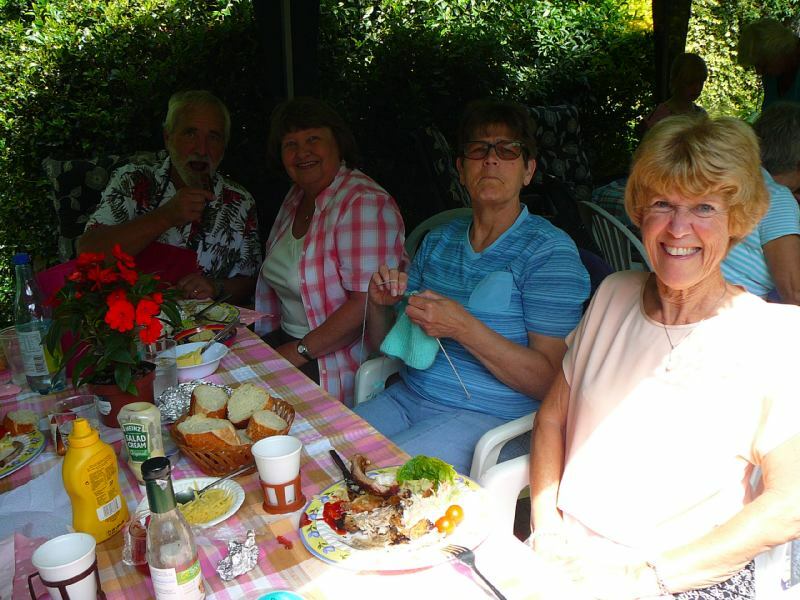 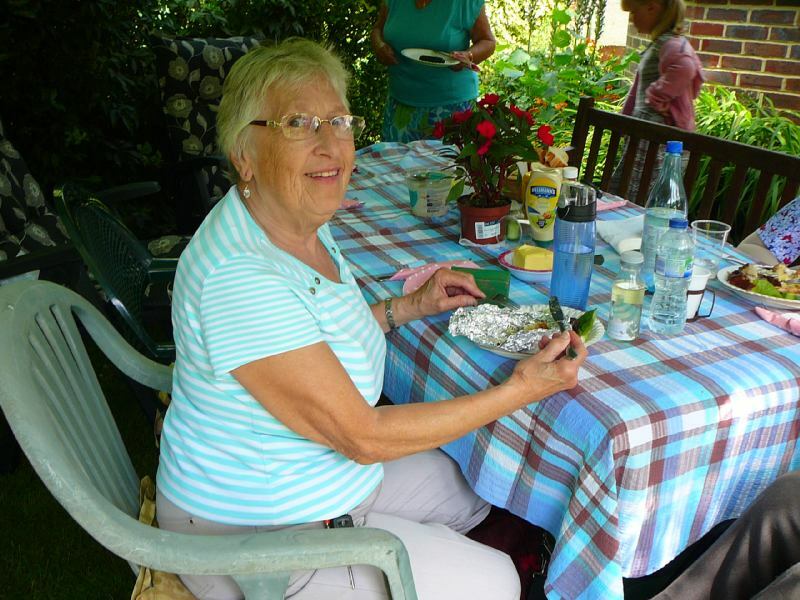 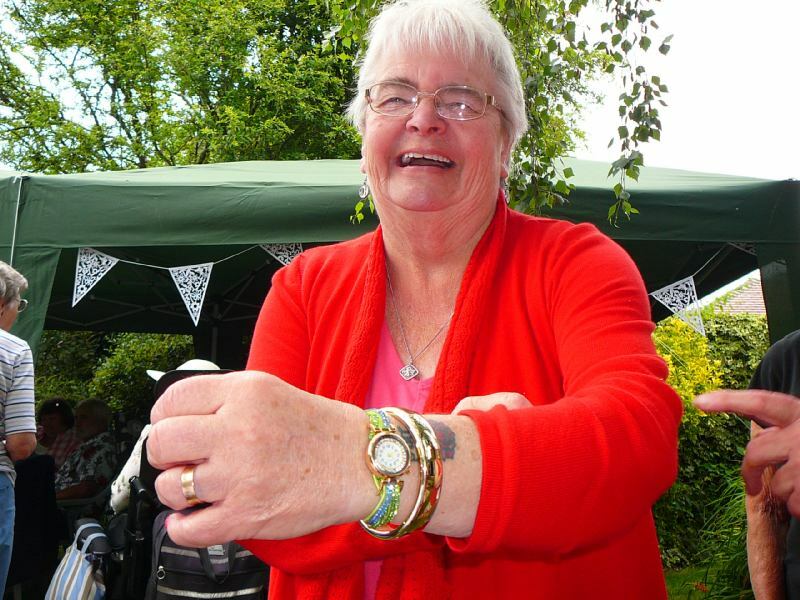 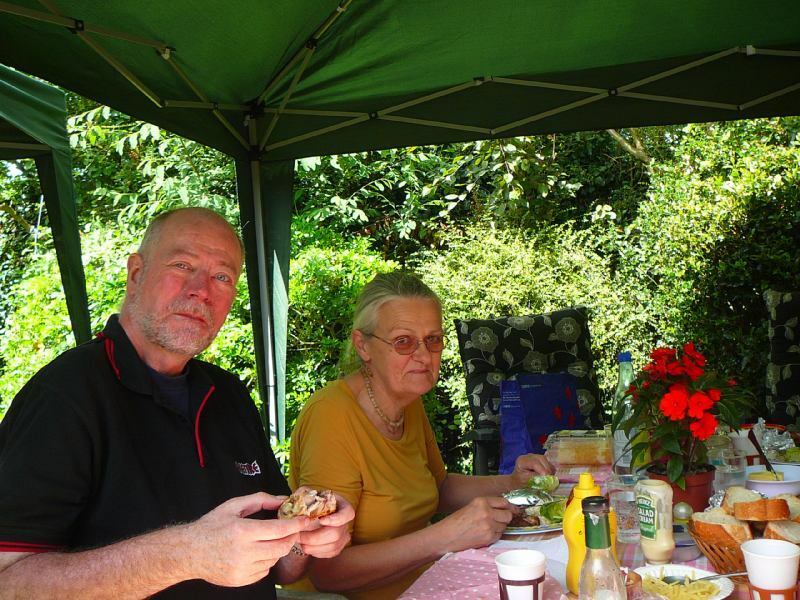 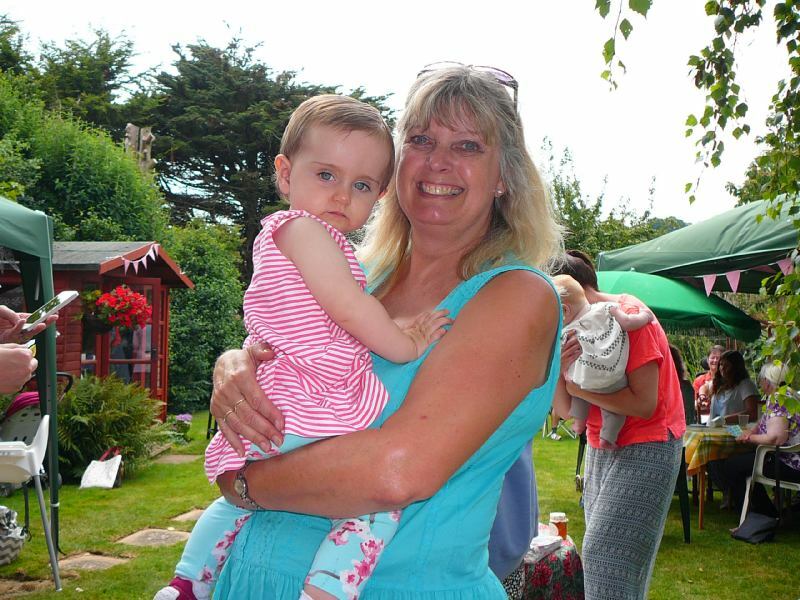 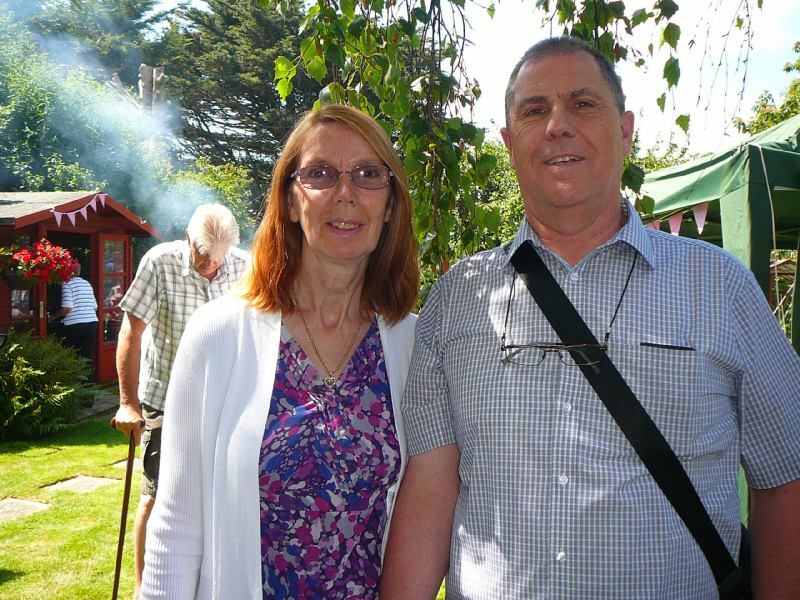 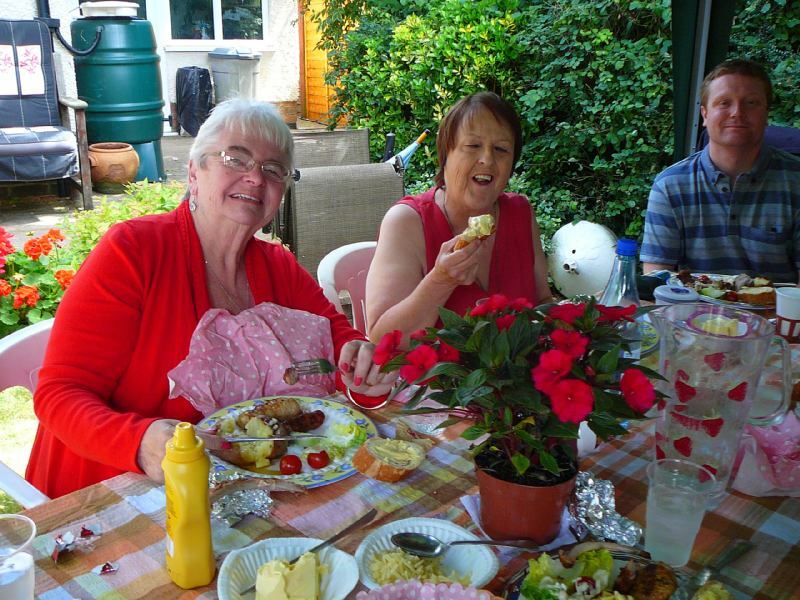 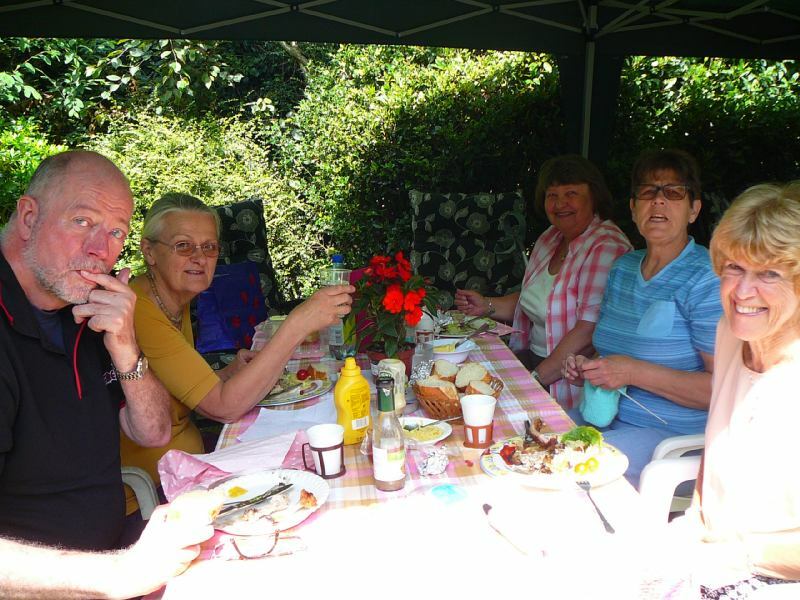 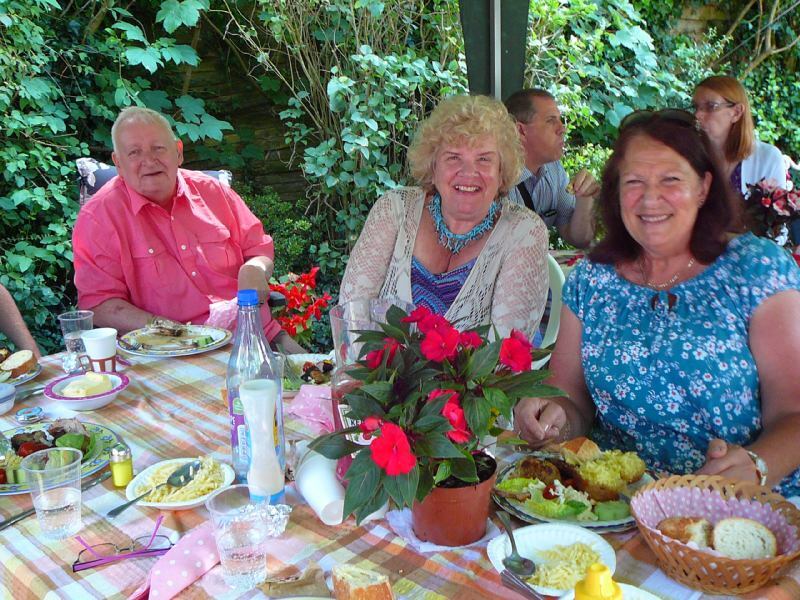 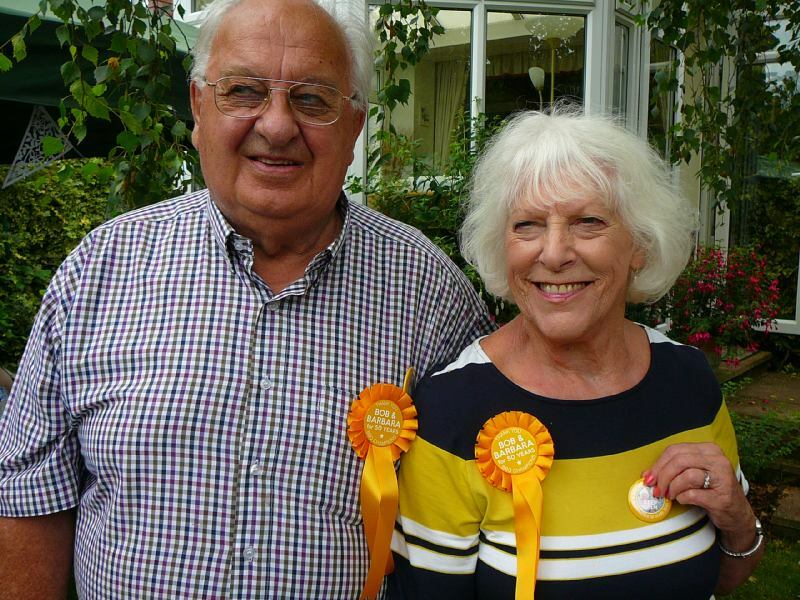 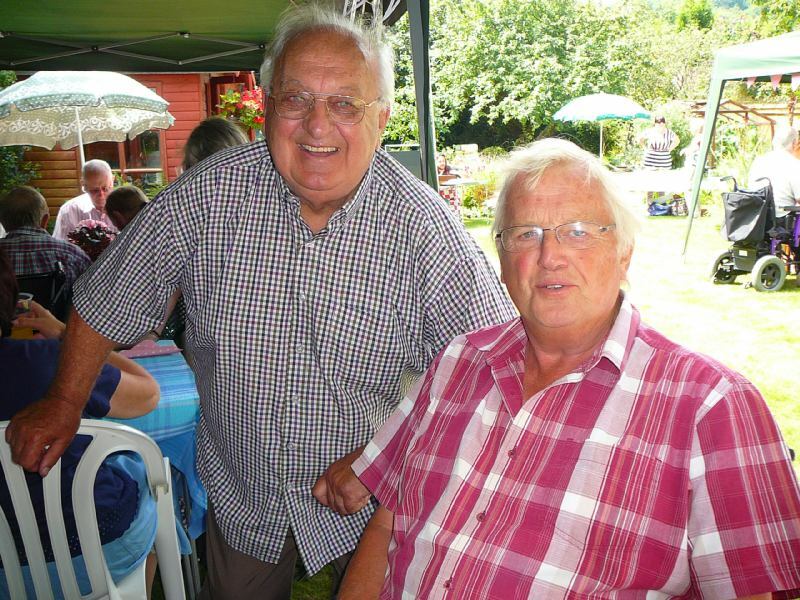 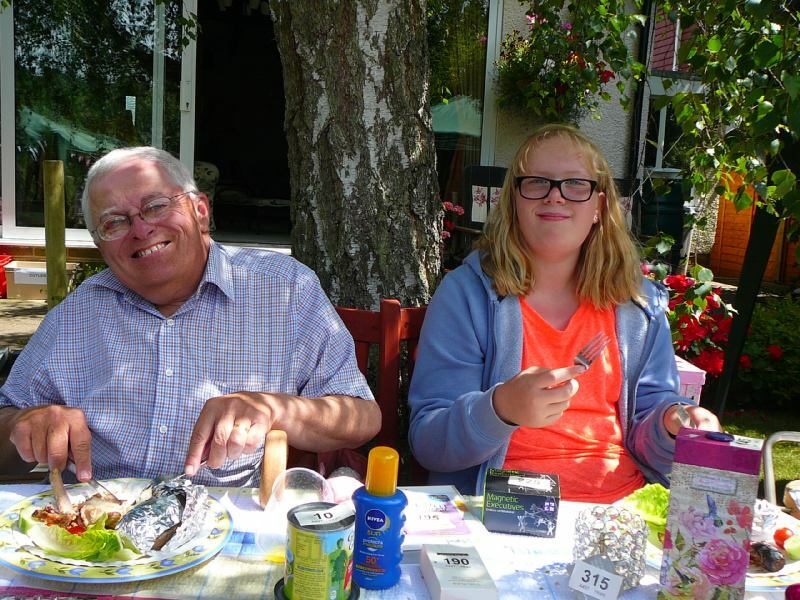 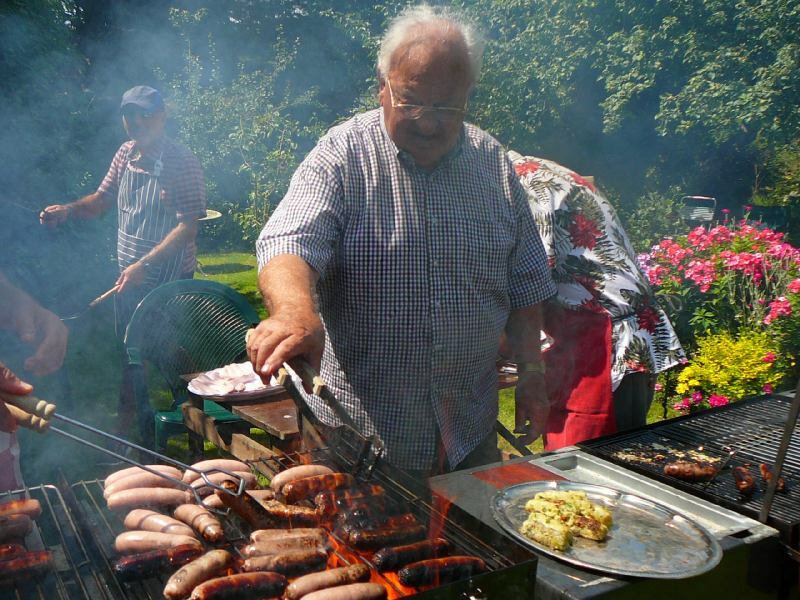 The following year they decided to have another barbecue and so it went on for 50 more years so it's a big congratulations to Bob and Barbara for all their magnificent work over the years not forgetting of course the band of very loyal helpers. 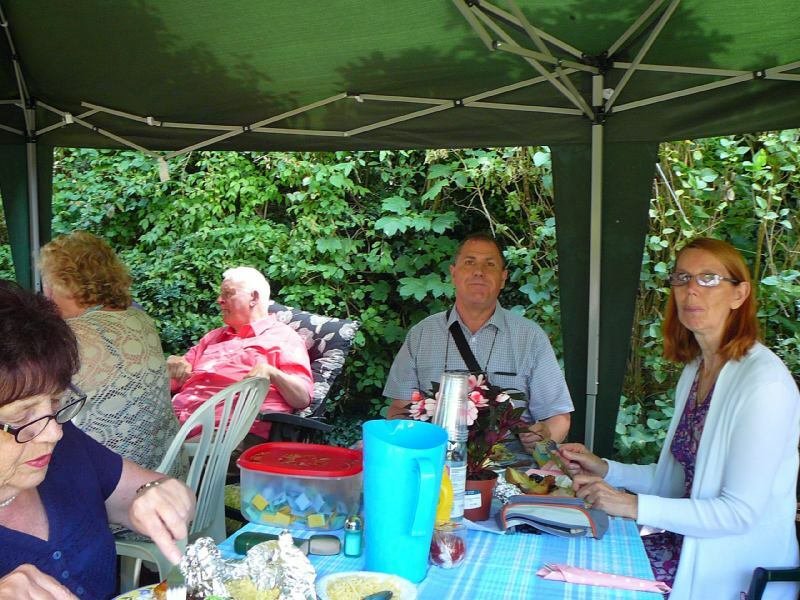 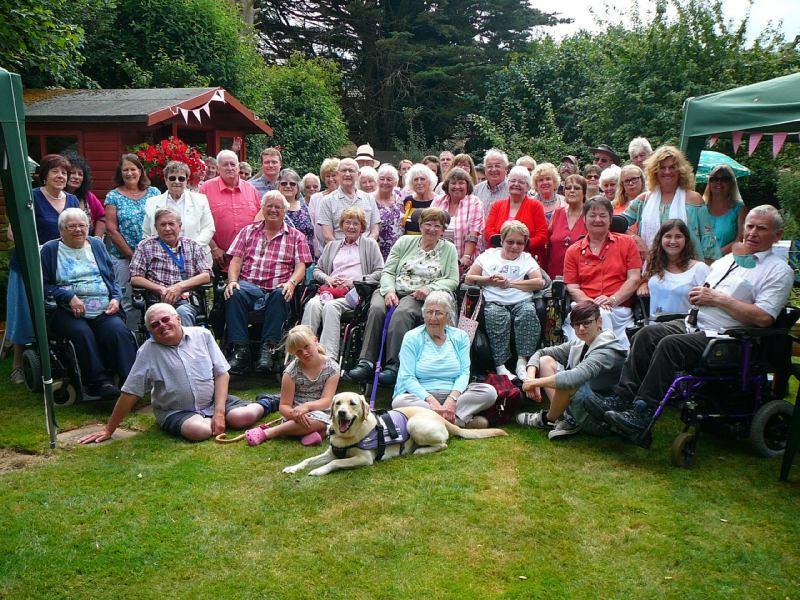 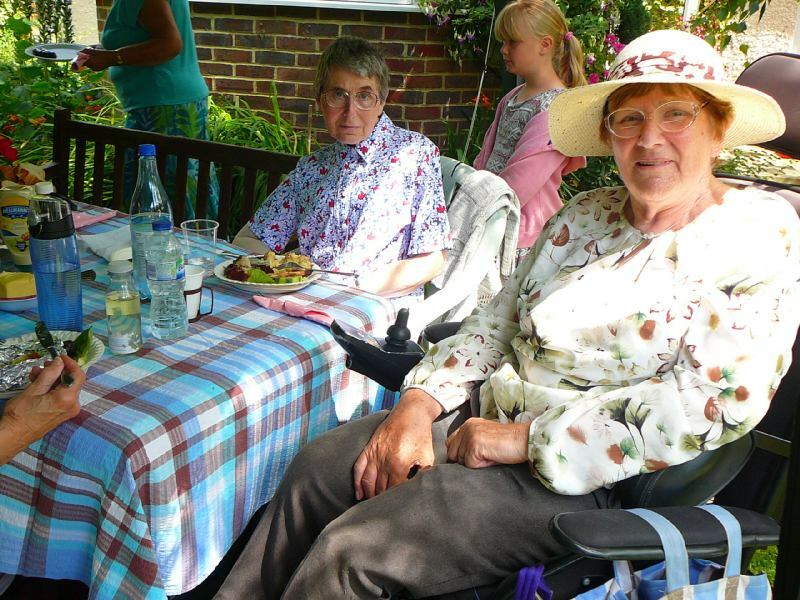 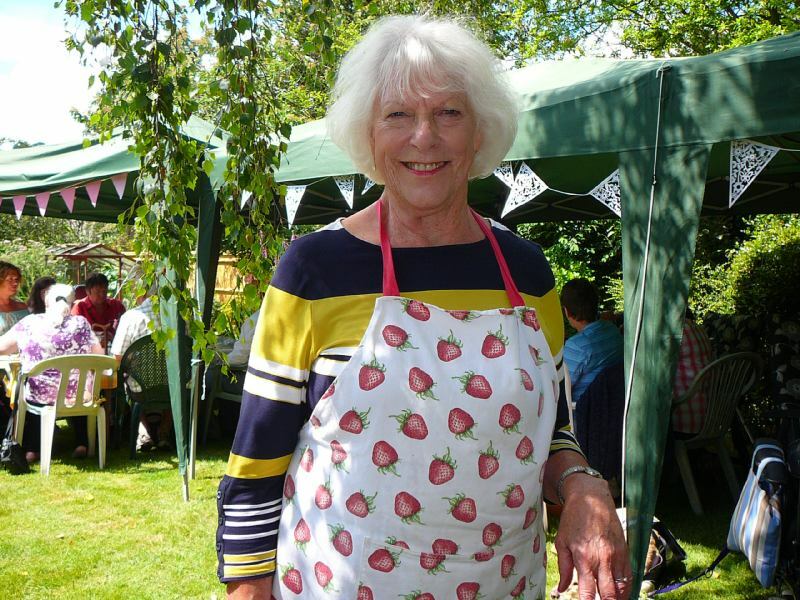 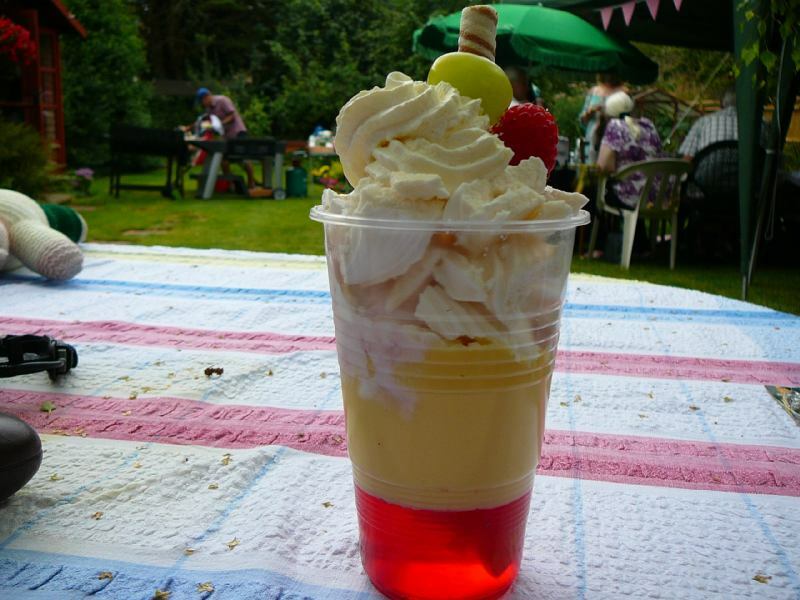 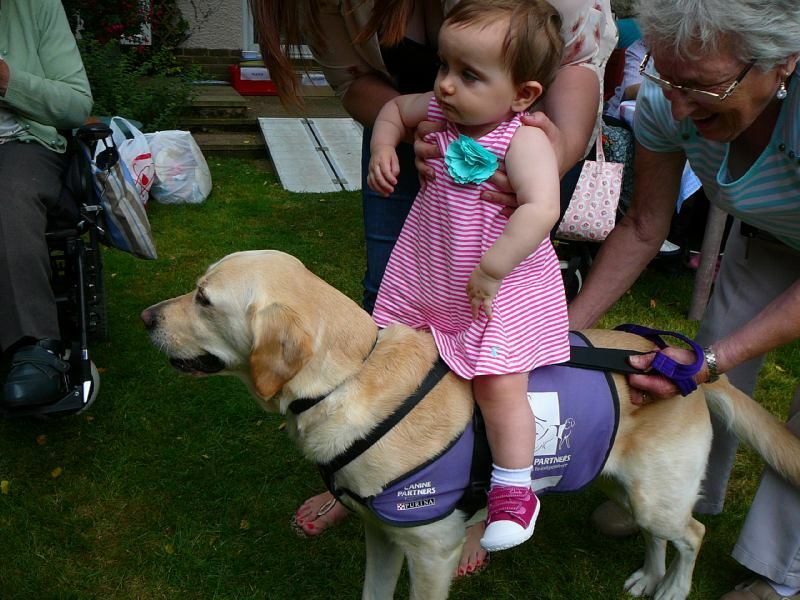 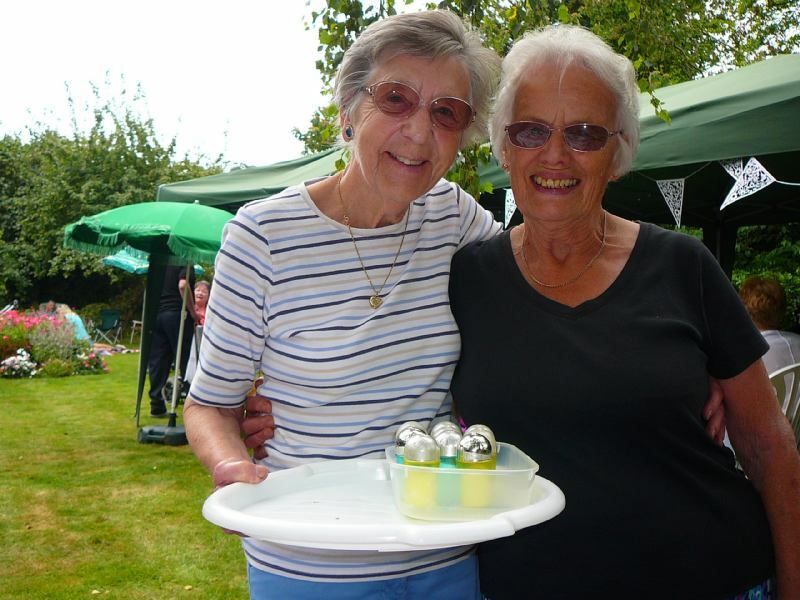 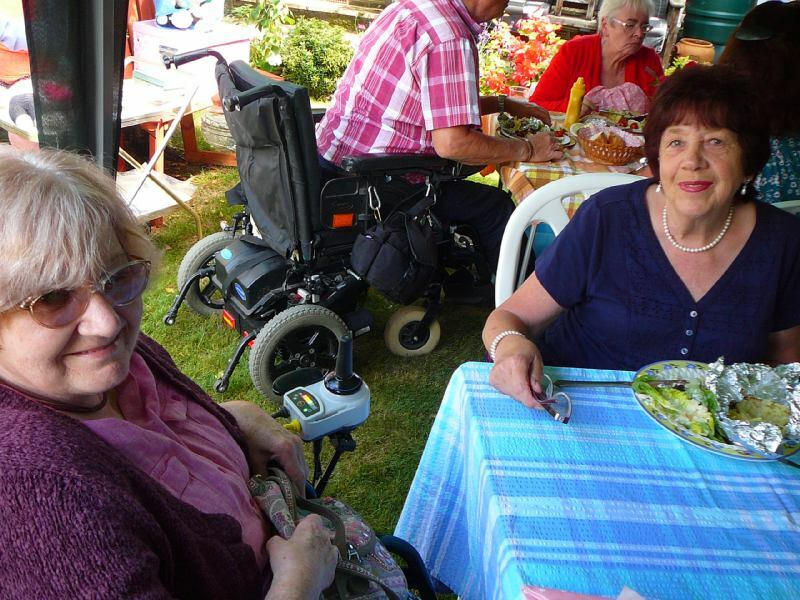 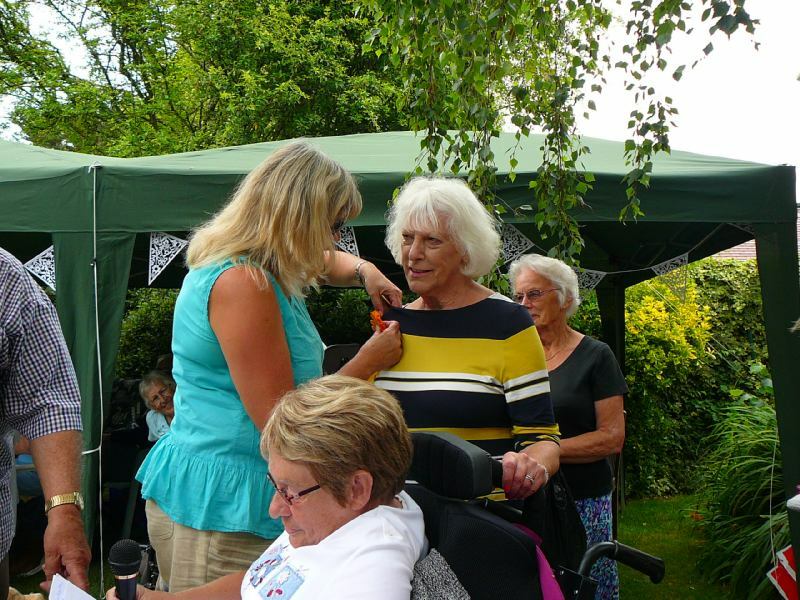 Back to this years event we had about 55 to 60 people in attendance and all enjoyed burnt sausages ribs chicken bake potatoes with salad, followed by a lovely pudding. 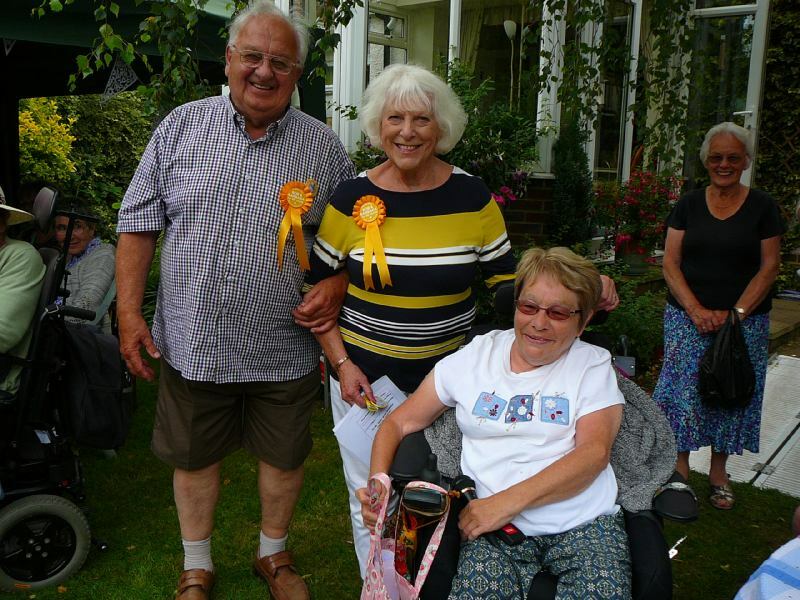 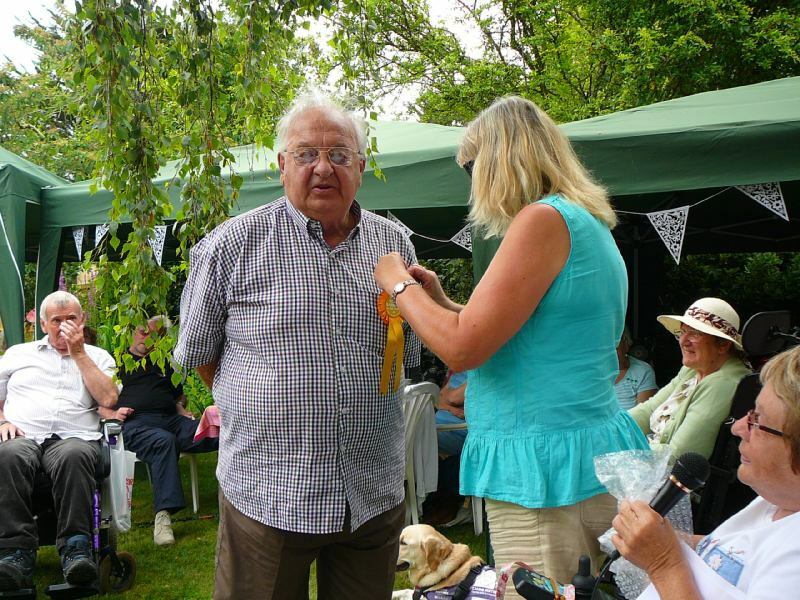 At the end of the day Bob and Barbara were presented rosettes to celebrate 50 years of BBQ fun by our lovely president Clare Colfer. 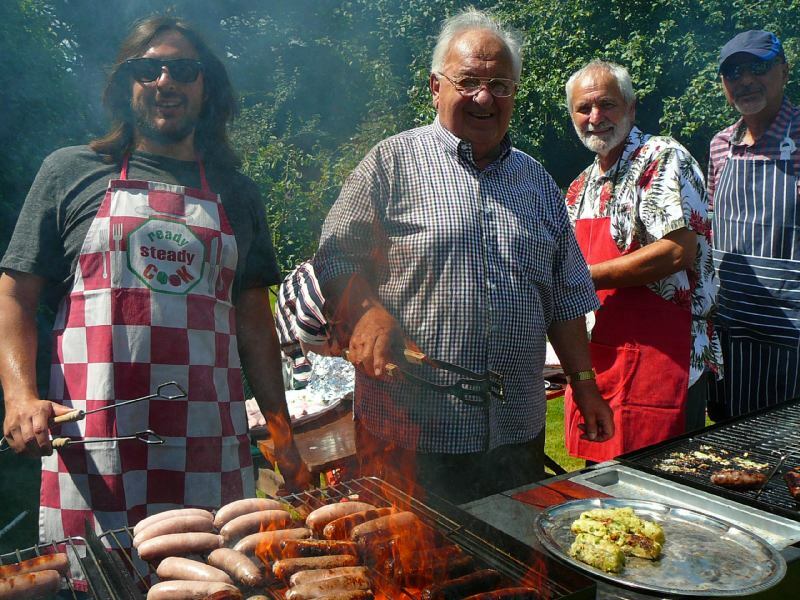 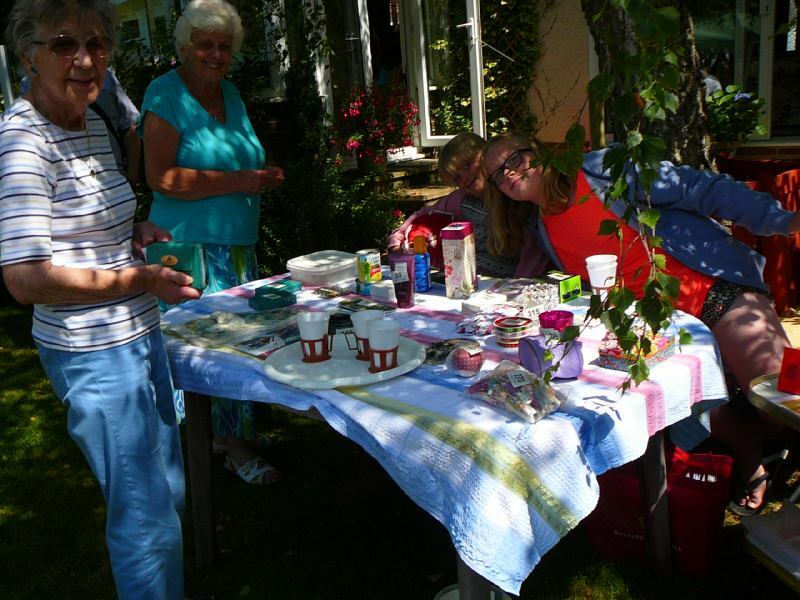 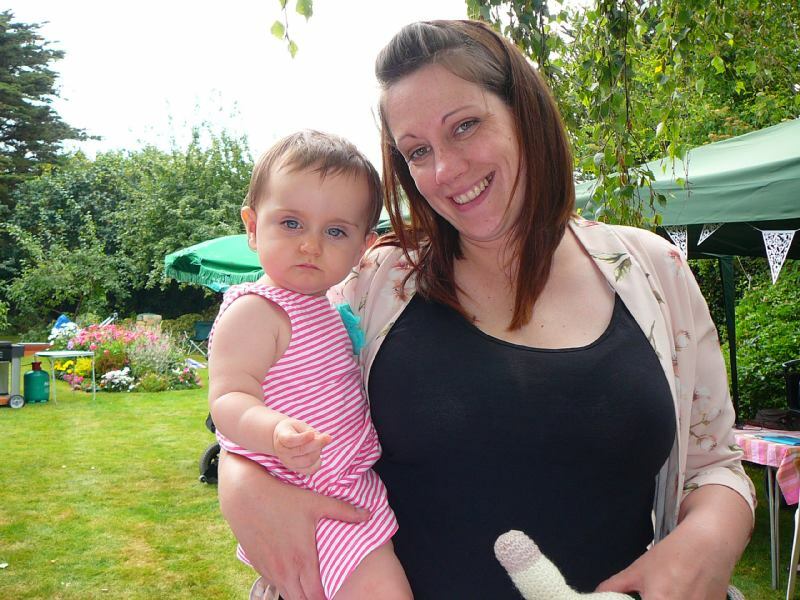 Again is a many thanks to all those who helped at the barbecue and look forward to another 50 or more.